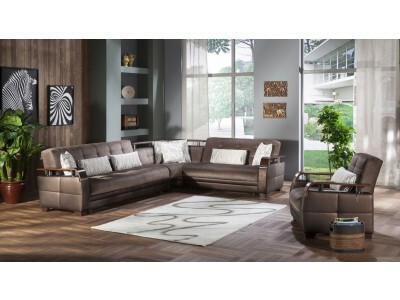 The Natural sectional sofa collection in Valencia Gray is a sure bet for achieving a minimalist and modern look in the living room. Wood armrests, leatherette arms and base, coupled with chrome ornaments are the basic building blocks for the Natural’s style. Depend on this collection to sink into comfort and deep relaxation.